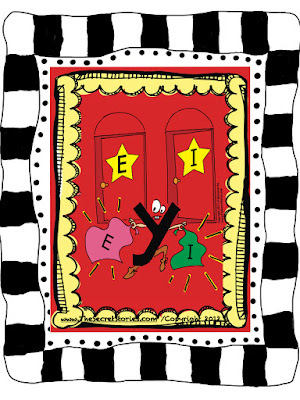 Why Wait to Teach the Sounds of Y? 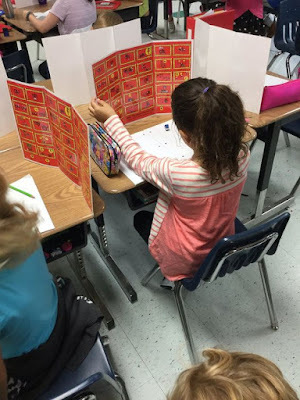 There’s an elephant in your classroom. 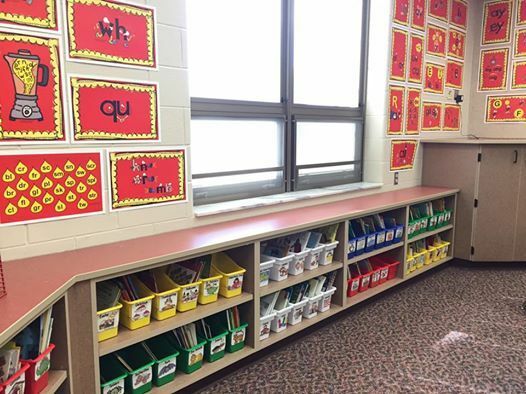 You sweep by it every day in your classroom, several times in fact, and probably without ever even noticing. It’s most conspicuous during morning calendar time, as that’s its favorite time of day. If you can’t see, watch this. So now that you’ve spotted the elephant, it’s time to get rid of it! 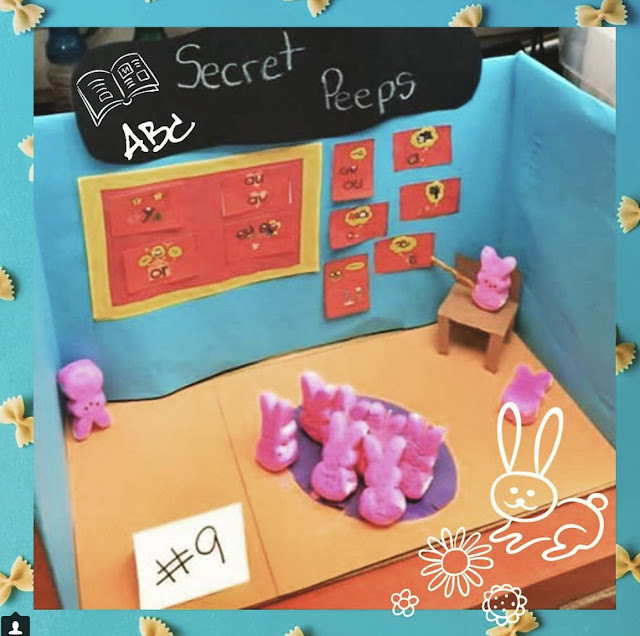 Think of Secret Stories® as your “elephant-exterminator!” The Secrets are the logical explanations for letter sound behavior that learners’ brains crave! 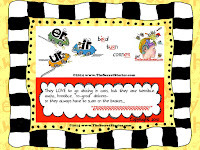 They are the reasons WHY letters “do what they do” when they don’t do what they should! There is perhaps no where that elephant exterminator is needed more than on our morning calendar, especially when it comes to the letter Y! 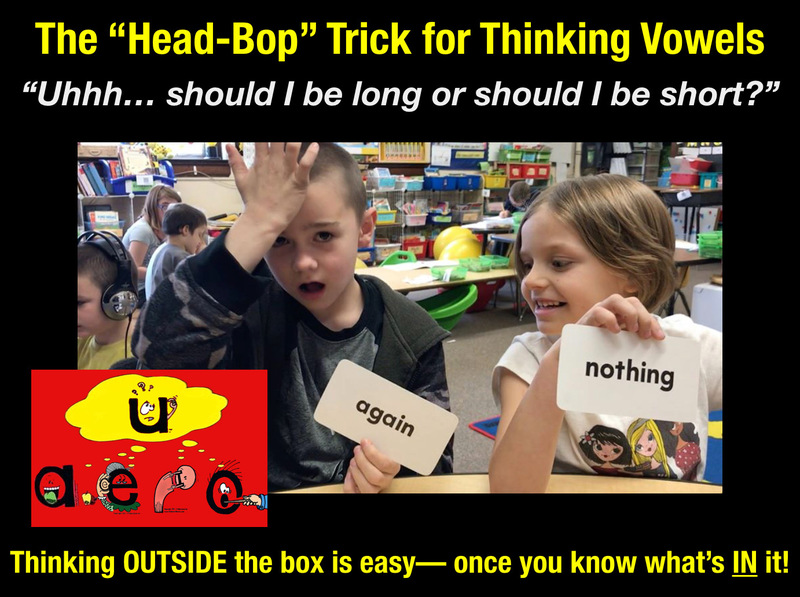 It’s literally everywhere, and not once can it be found making the ONE sound that beginning grade learners are told to expect it to, which is “yuh!” as in: yellow, yes, you and yak. Y is literally everywhere, yet not one time does it ever say, “yuh!”And the classroom calendar isn’t the only place these elephants like to roam. It seems we have elephants running around everywhere! 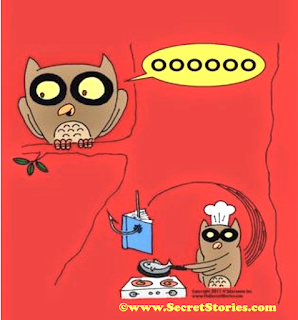 For more vids like this one, subscribe free to the Secret Stories® YouTube Channel. If you are subscribed to the Secret News Blast, you should have already received a free download link for the Sneaky Y® Guided Reader in your email. If not, subscribe now and never miss a Secret! In closing, remember this “cool dude” from the video up above? He’s not really Fonzie, but a kindergarten teacher from Washington State, and I he’d sent me the following email, along with that adorable video clip…. Click to download this free sample poster pack! https://www.thesecretstories.com/wp-content/uploads/2017/04/elephant-2Bin-2Bthe-2Broom.png 496 372 Katie Garner https://www.thesecretstories.com/wp-content/uploads/2018/07/Secret-Stories-Phonics-Method-Logo-1-copy.png Katie Garner2017-04-22 03:00:002019-03-07 17:32:35How to Teach the Sounds of Y (a.k.a. 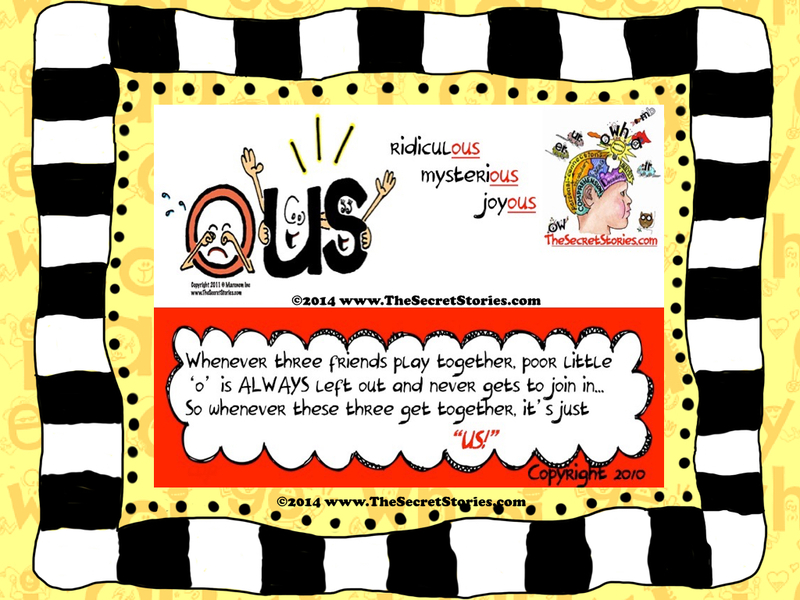 Sneaky Y®) so kids just GET IT! 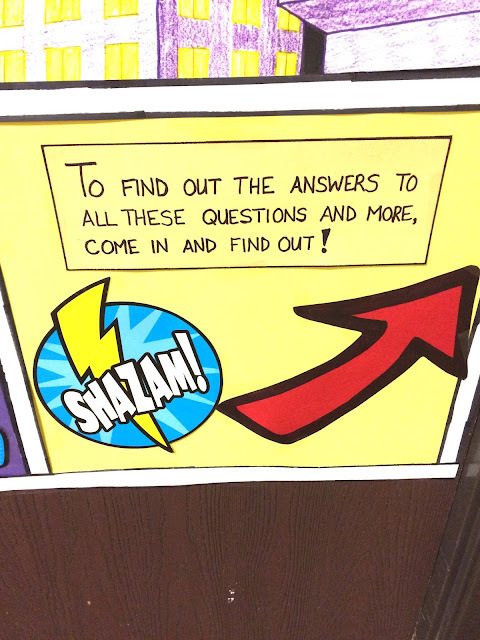 Everything You’ve Ever Wanted to Know About The Secret Stories® Phonics Posters! 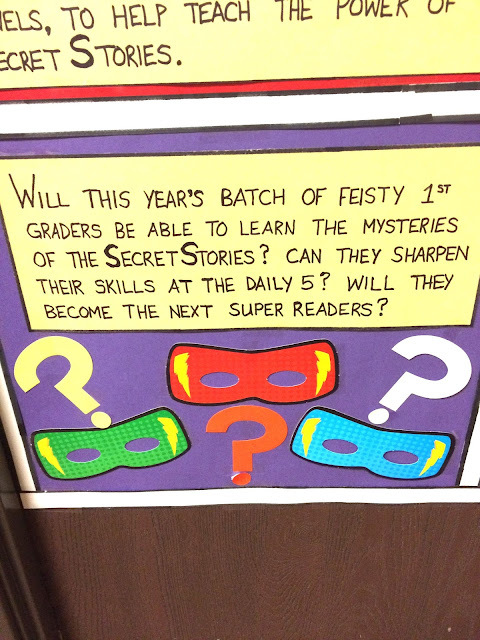 The Creatively-Cut “Original” Secret Stories® Posters! 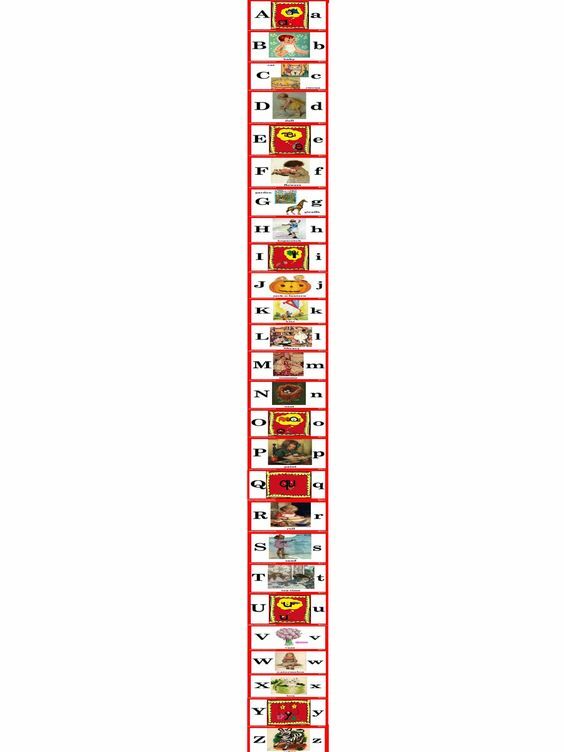 Which Secret Stories® phonics poster-style is the MOST popular? You can find more info (as well as pictures) on both the Space-Saver Placards and the Porta-Pics (pictured further below). 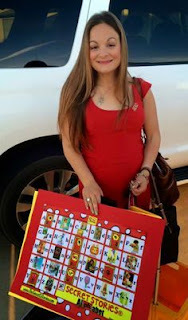 Secret Stories® Posters Ready to Hang! But on which wall?…. In what groupings??….. And in what order??? Is there a “right” way to hang the Secret Stories® Phonics Posters? This is the most frequently asked question that I receive during preschool weeks, especially when I visit schools for ‘back-to-school’ in-service and professional development and teachers are setting up their classrooms. The short answer is NO… not really. But there are tips and tricks to ensure that you (and your students) get the most “bang-for-the-buck” with regard to easy visual access, both for reading and writing, across the entire instructional day! So here are some Must-Do’s…. 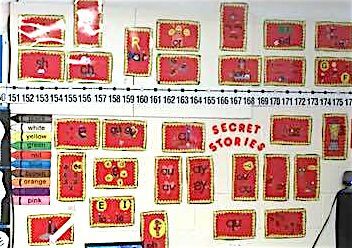 Never wait to display a Secret until you have “taught” it first, as doing so defeats the whole purpose of using Secret Stories®, which is to accelerate access to the code, not limit it! Besides, the Secrets are not taught, they are “given,” and without any expectations, much like food that’s laid out on a buffet. 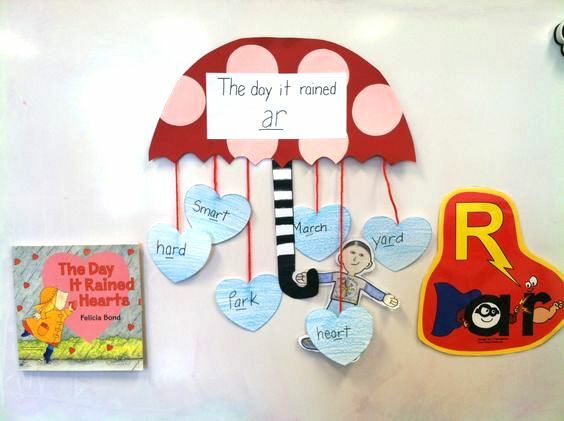 Because Secrets are embedded into already social and emotional story-frameworks, kids will remember them, talk about them, and then suddenly begin using them to read and write words. 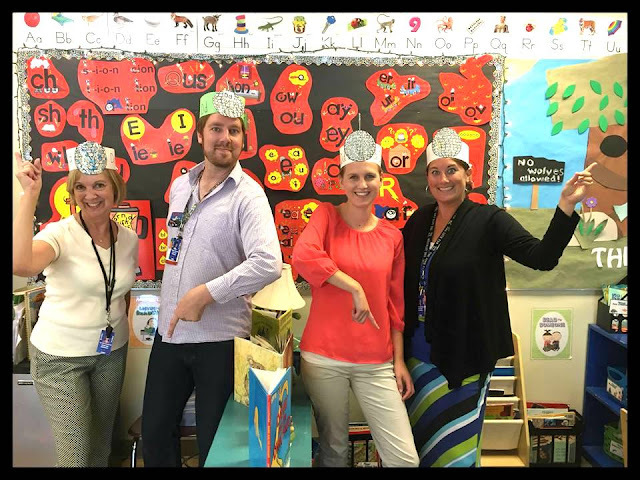 This will happen years before their formal introduction as “phonics skills” on a traditional core reading scope and sequence…. 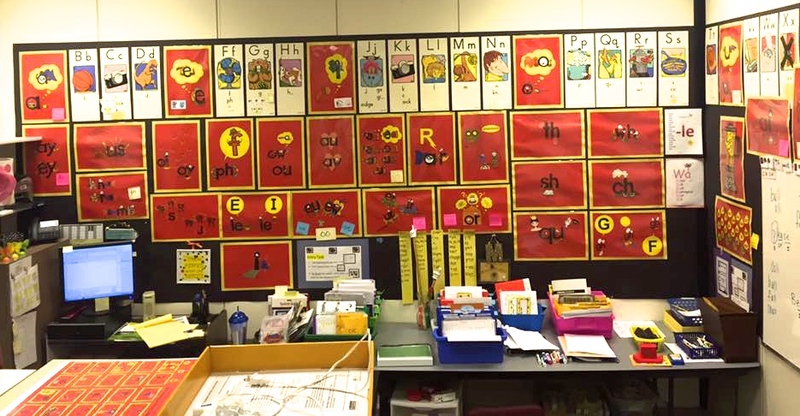 IF they are all up and ready to share with learners, as needed! 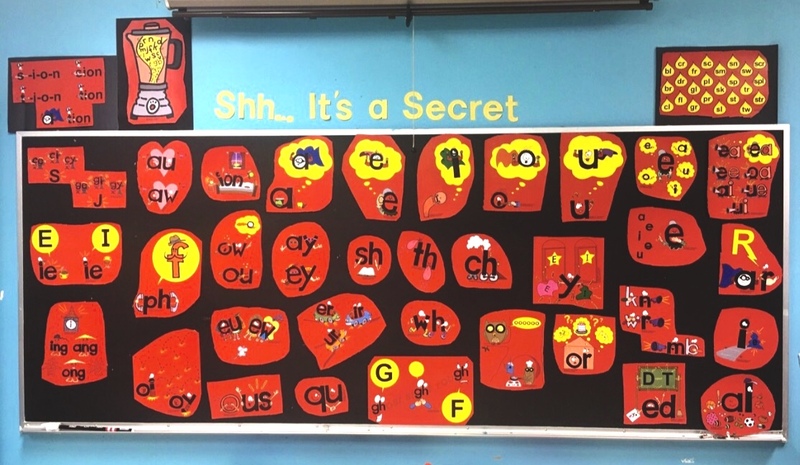 Secrets unlock the sounds in words that kids can’t read, and equip them with the letters they need to write words in the stories they want to tell. 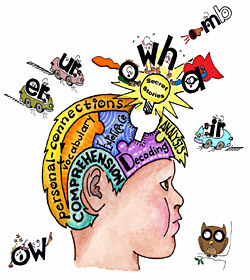 It is learners’ encounters with text throughout the course of the instructional day (and across all subject areas) that most often dictate which Secrets they need. 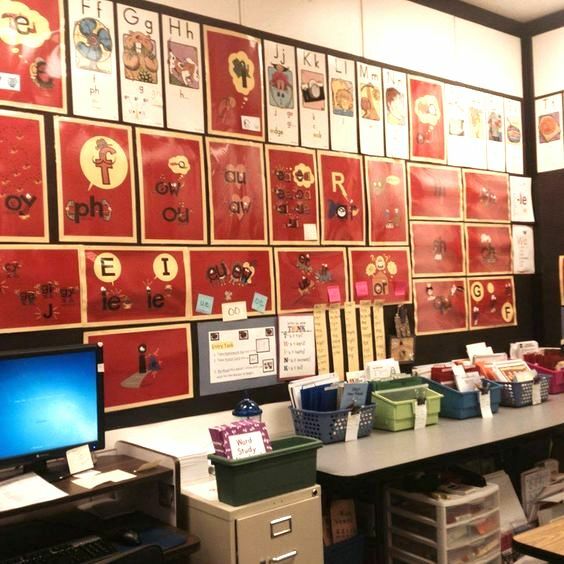 For this reason, all of the Secrets must be up and ready to go, as you never know what’s looming just around the corner of your instructional day! Additionally, having all of the posters up requires learners to visually scan through all the Secrets they don’t know in order to find the ones that they do. This continual scanning process serves to increase learners’ visual acuity so as to recognize patterns in text— even those in Secrets that haven’t yet been told! 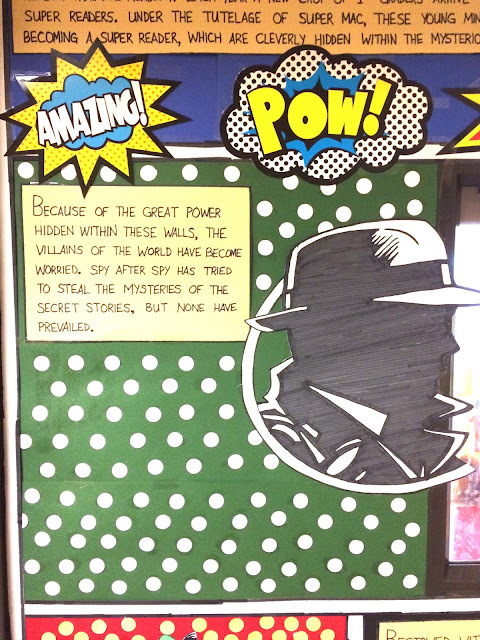 Students “Stalking” the Secret Stories® Wall! 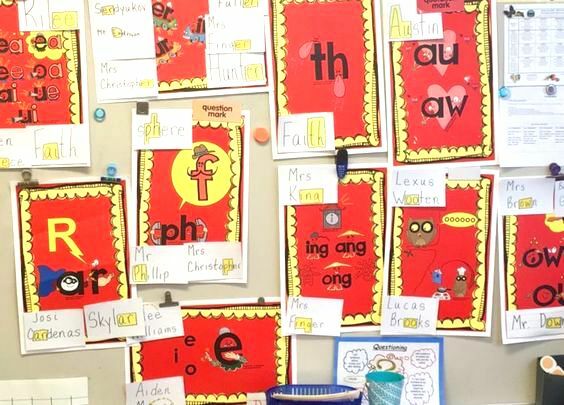 And finally (and most importantly) hanging all of the posters up on Day 1 allows learners to begin driving their own instruction, as the letters in words they cannot read are the same letters that are in the Secret posters on the wall, thereby prompting them to ask for the Secret! 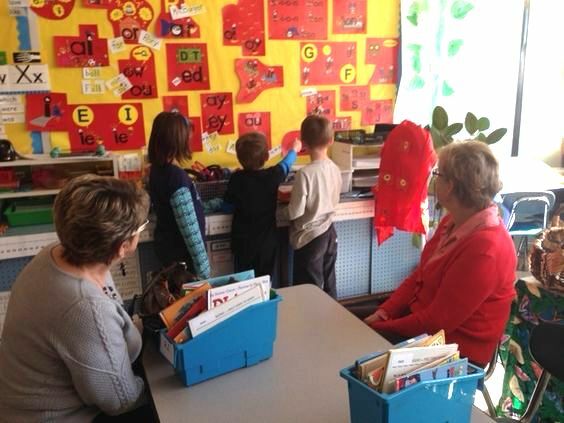 By taking advantage of these teachable moments as they occur throughout the instructional day, we can foster learners’ “need-to-know” as the driving force behind their instruction and teach reading with the brain-in-mind! 2. 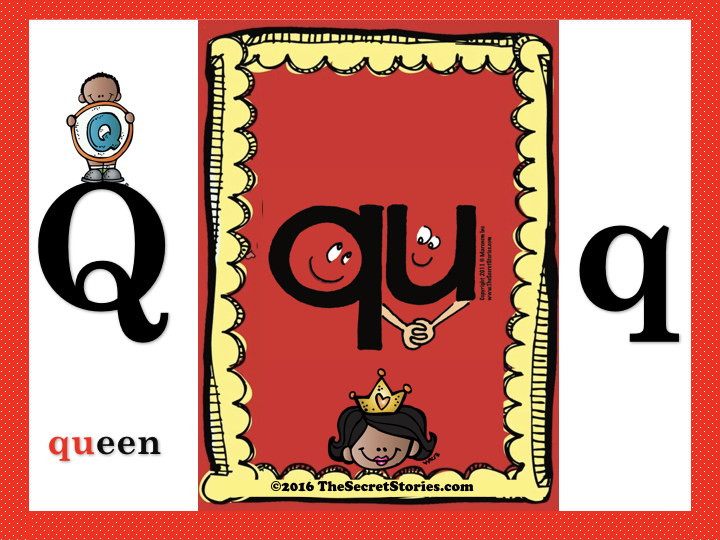 Hang the Superhero Vowels®, Sneaky Y® and “qu” posters above (or in place of) their “counterparts” in your regular alphabet display. 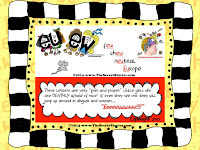 for use with the BETTER Alphabet Song for Individual Letter Sound Mastery in 2 weeks – 2 months! 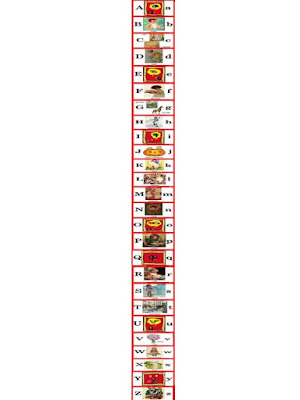 And on a side note, be sure that the picture cues on your existing alphabet train are accurate! 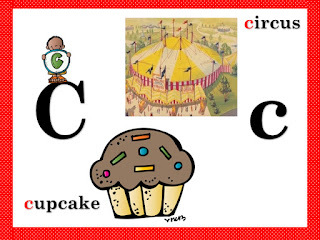 This means that the picture cue for the sound of the letter o is NOT an orange or an oyster, as o by itself can only make its long or short sound, as in oak or ox. 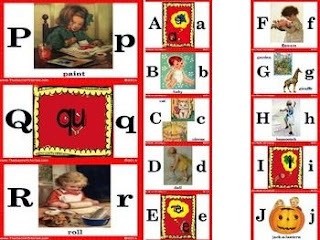 Likewise, the letter x should not be depicted with a picture of a xylophone or an x-ray (as is actually shown in the classroom alphabet picture, above) as those are its least likely sounds, with “ks” (as in box and ox) being the most likely. All too often, the publisher’s priority is finding a “pretty picture,” rather than one that actually depicts the most likely sound of the letter. 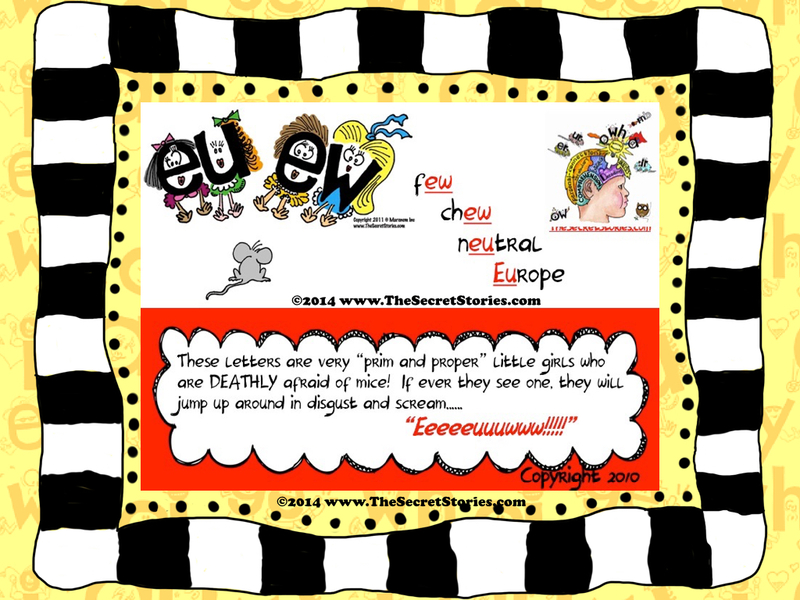 a letter’s most likely sound! 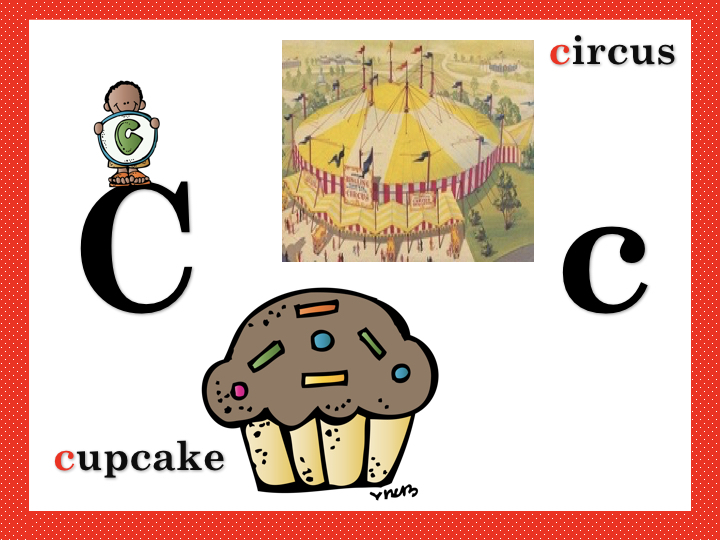 Additionally, it’s also important to depict sound cues for both the hard and soft sounds of both c and g (cat/circus and goat/giraffe) with picture cues for both. 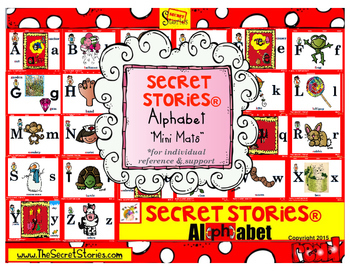 For all of these reasons, I created the Secret Stories® BETTER Alphabet & Alphabet Mini-Mats (in digital format only.) 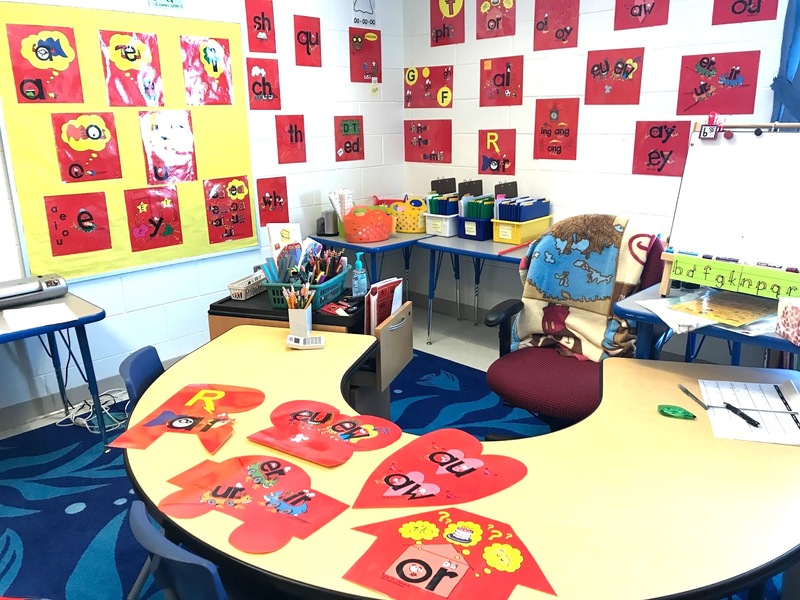 Not only are the Superhero Vowels®, Sneaky Y® and qu graphics already built-in, but its vertical display option makes singing those “lightening-fast” Letter Runs a whole lot easier! with Vertical AND Horizontal Posting Options! 3. 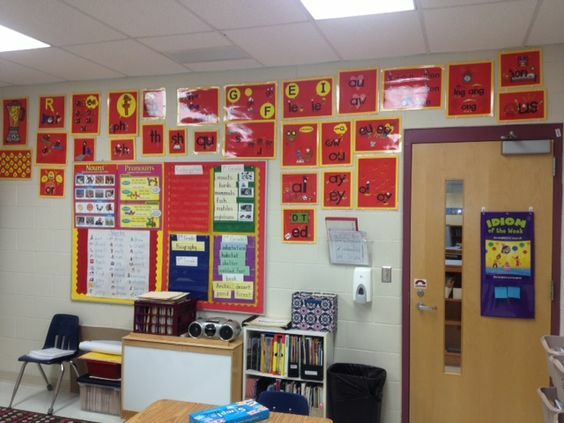 When hanging the “Original” phonics posters, be sure to create a visual barrier between the Secrets! Unlike the “Fun & Funky” Phonics Posters and the Space-Saver Phonics Posters which both have a yellow border that separates them visually when hung together on the wall, the “Original” Phonics Posters were designed to be “cut-down” clustered together to take up less space and still be large enough to see from anywhere in the primary classroom. 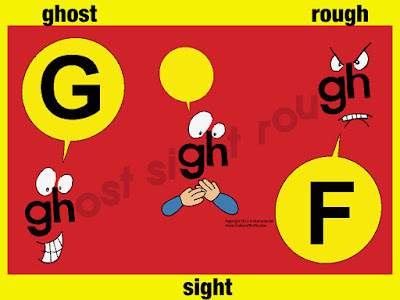 With no definitive border, the letter patterns on the original posters (when cut down) can appear to “run together” on the wall, which is why I recommend mounting them on a bright yellow or black backing (as explained in the Secret Stories® book) so as to provide a visual border between each one. 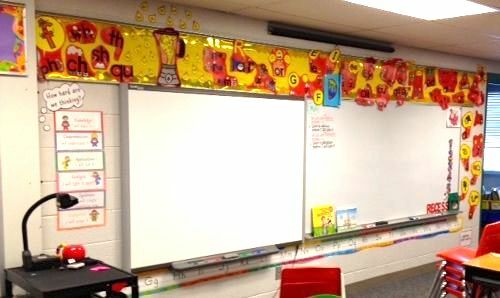 I prefer bright yellow, although you can view several options in classroom pictures further down, below. 4. Ensure easy visual access from everywhere in the classroom they will need them! 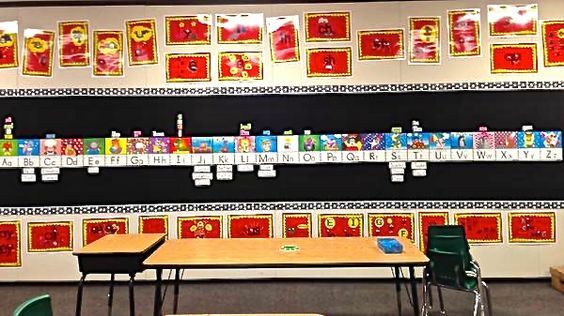 I can tell you from personal experience that this is much easier said than done (as most of my classroom assistants who were tasked with moving all of the posters around to various locations in our classroom can attest!) 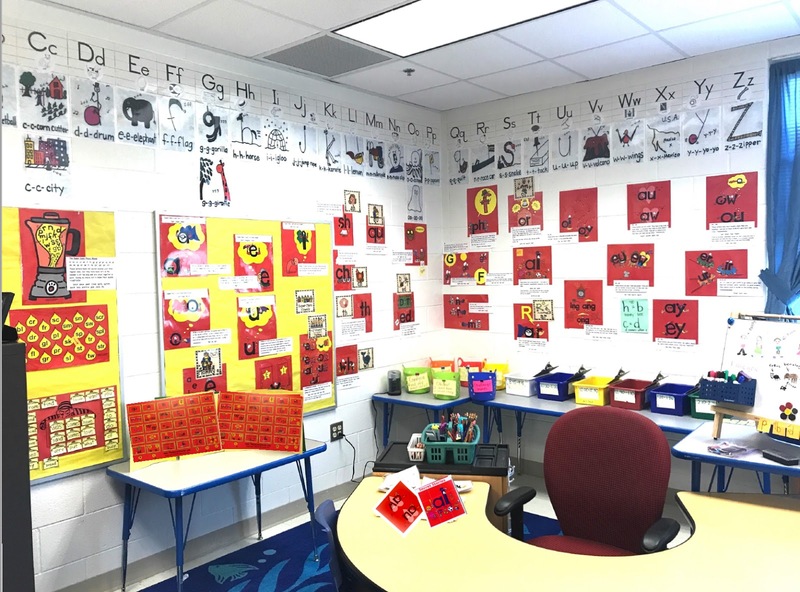 Finding the perfect place in the classroom where students can easily access the posters, as needed during guided group, circle time, calendar time, whole group activities, independent writing at their seats, etc….was quite the challenge. My students were constantly jumping to find the Secret sound they needed (when reading) or the Secret pattern they needed (when writing) and it drove me crazy! 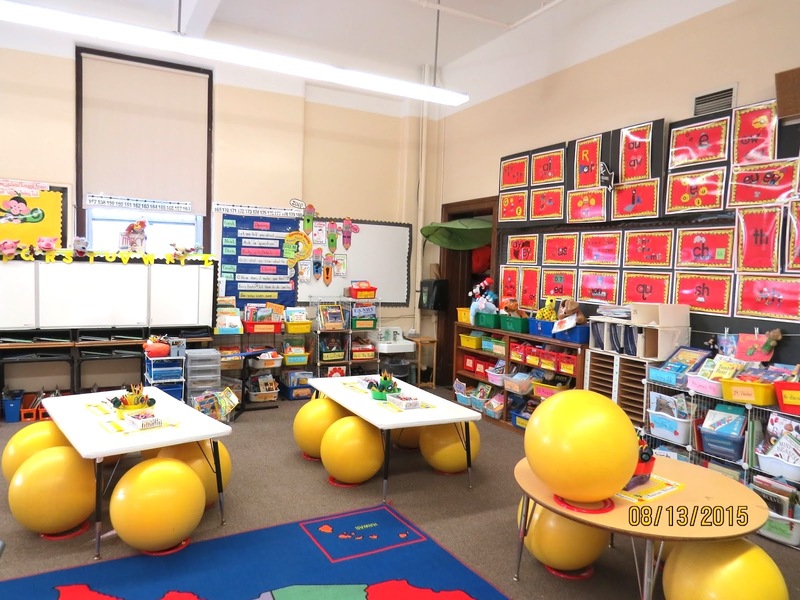 I think it can be especially difficult in kindergarten and first grade classrooms where there are so many learning nooks & crannies, as this makes easy visual access to ANYTHING virtually impossible (aside from possibly, the ceiling!) I finally did settle on a good spot where they remained indefinitely, but each new classroom and grade level posed a new challenge, so don’t settle…. be creative! And don’t be afraid to try a different spot if the current one isn’t ideal….just be sure to bring your assistant a big, frothy Starbucks coffee when making the move! 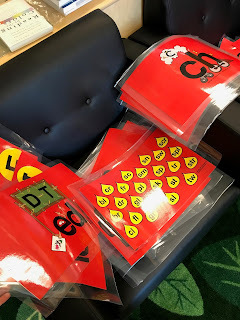 Also, keep in mind that the Dual-Use Placards and Porta-Pics as both offer easy solutions to this problem, as well providing the Secrets in a hands-on “manipulative” format for use by teachers and students around the classroom, as needed. 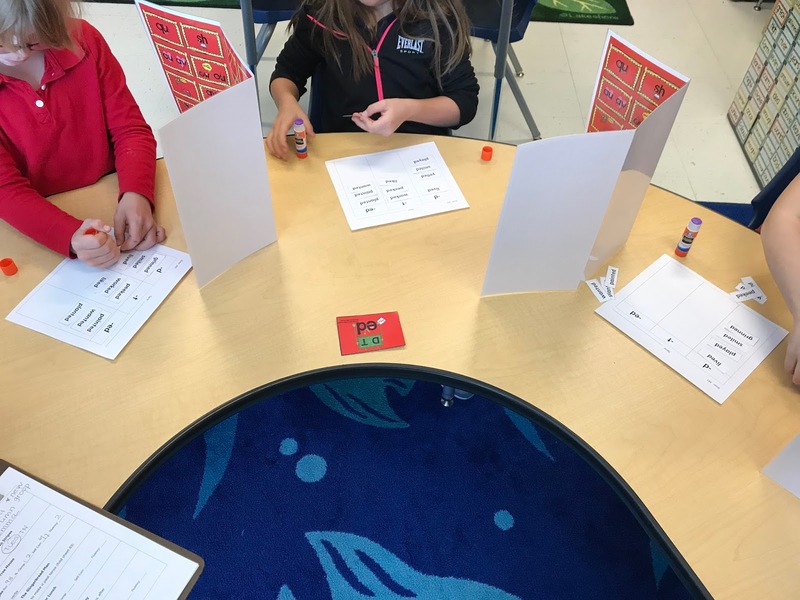 There are also “cut-apart” cards in the back section of the Secret Stories® book that can be used when students are working in very small groups or outside of the classroom, one-on-one with a volunteer. 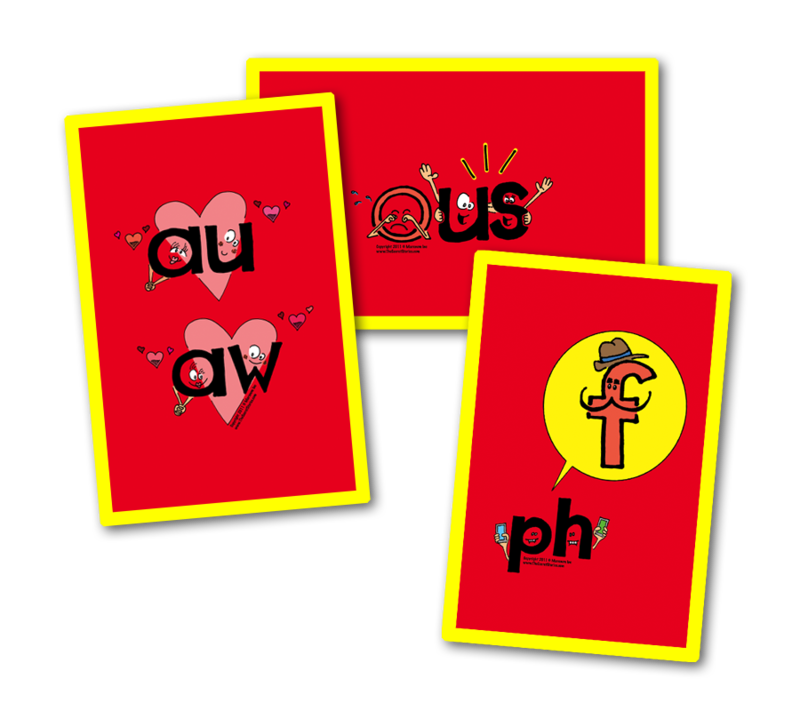 Plus, check out these NEW Secret Stories® Phonics Flashcards that have the stories on the front and picture on the back! 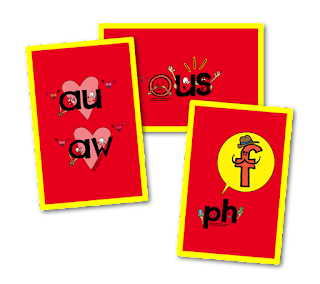 Click here for more on “hands-on fun” with Secret Stories® Phonics Flashcards! 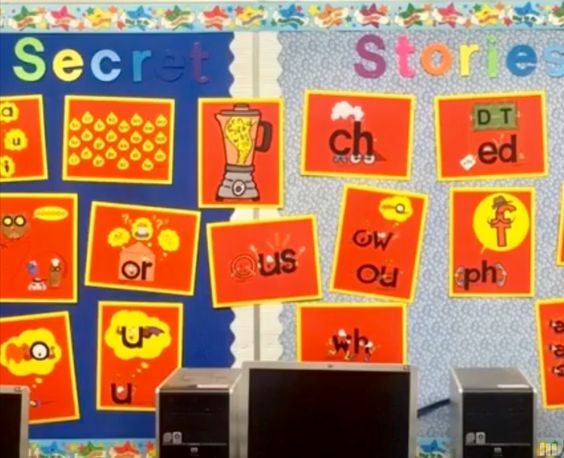 And should you happen to have an extra set of Secret Stories® phonics posters lying around (after upgrading to Secret Stories® Version 2.0 or “inheriting” an extra set from another teacher) you can use them to make something that your kids will absolutely LOVE LOVED LOVE…. a class “big book” of Secret Stories® that kids can take home and share with their parents on a rotating basis, or even as a special reward! Just re-mount them (if cut-down) on large construction paper and re-laminate the pages, and then bind them together into a book. Voile! A Secret Stories® Class Phonics Big Book— the perfect way to help educate your parents on what the Secrets are and how they work! Extra posters sets are sometimes also ordered by schools to post in common areas where kids tend to congregate…. in the hallways, on the wall by the cafeteria line, behind the check-out desk in the media center, the front office wall, etc…, as it’s a great way to spur conversation between students about “who knows which Secrets,” as well as help to educate the parents on what they are, as kids love to share all of the Secrets they know when walking with them around the school. 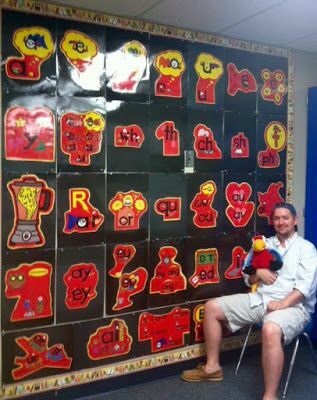 It also helps to further enhance learners’ visual acuity for pattern-recognition in text. Below are some classroom pictures of the Secret Stories® phonics posters that show different ways to display each version. And I want to give special thanks to all of the awesome teachers who have offered us this sneak-peek into their classrooms by sending in pics! And finally, check out these miniature Secret Stories® phonics posters in this adorable “Peep” Classroom, created by Mrs. Mac’s Munchkins! 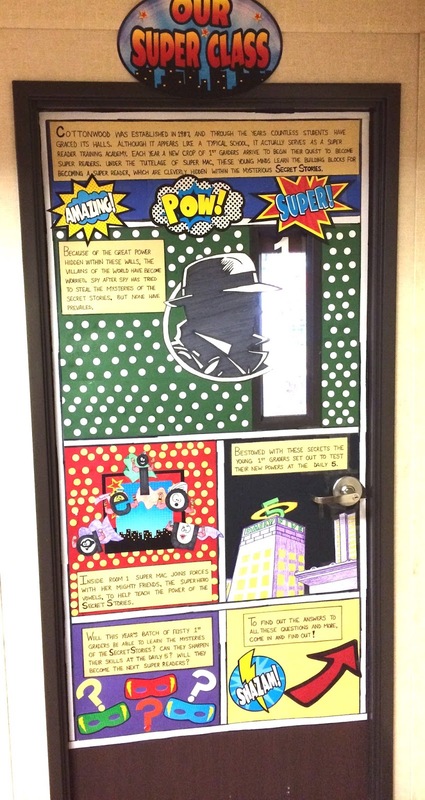 And to bring this “Posting Phonics Posters” post to a close, I just had to share an AMAZING “Secret Stories® door transformation that added a whole new level of excitement to the first day of school for some very lucky first graders! It was created by Brandon McAnulty, the husband of Renee McAnulty. 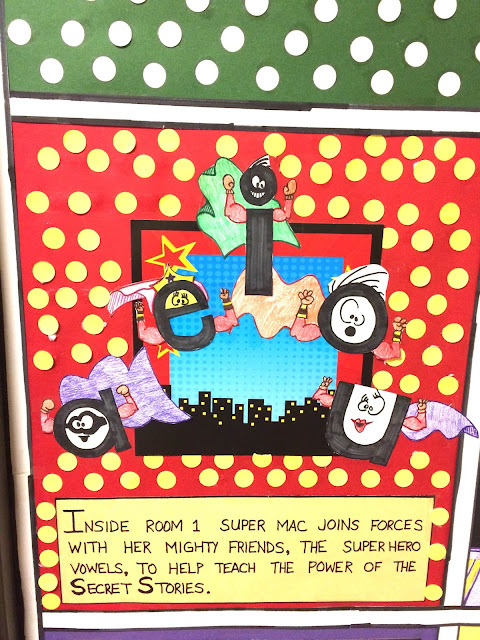 You can read more about Mrs. Mac and her famous first-grade munchkins, here! And here are some close-up pics…. for some good tips, tricks and how-to’s! 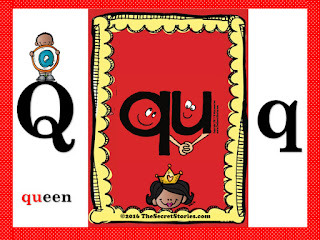 Download a FREE Sampling of Secret Stories® phonics posters and watch how fast YOUR kids start using the Secrets to read and write! 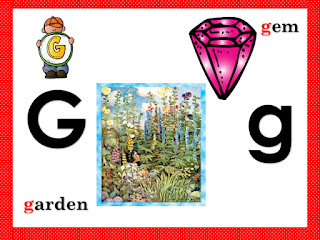 https://www.thesecretstories.com/wp-content/uploads/2015/10/Secret-2BStories-2BPhonics-2BPostrs-2BOriginals-2BCut-2BDown.png 1003 1024 Katie Garner https://www.thesecretstories.com/wp-content/uploads/2018/07/Secret-Stories-Phonics-Method-Logo-1-copy.png Katie Garner2015-08-14 16:33:002019-02-02 22:53:34Posting Secret Stories® Phonics Posters! 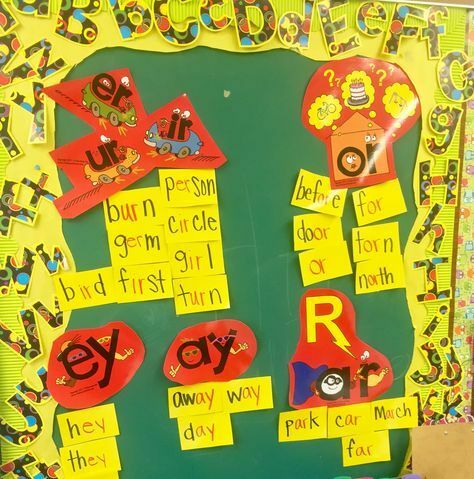 It Takes More Than Individual Letter Sounds to Read and Write! I sneakily took this pic at the end of snack the other day…. to the Reading & Writing Code in Kindergarten! I looked at him and said, “Oh, this looks like a great picture read. Can you tell me a story to go with the pictures?” This is kindergarten after all, and it’s a tough book! He gave me a strange look, and then…….He was READING it! Later in the day, I had him read it again so that I could video it, and here he is reading Marc Brown’s Arthur’s Halloween. No problem with the “head-bop” trick! Didn’t stump him. 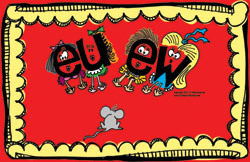 He saw that Babysitter Vowel® o telling e to say its name! 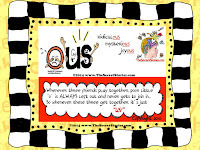 He also spotted /o/ and /r/ who can “never make up their minds when they get together,” and read it like a pro! That Sneaky y® didn’t trick him! 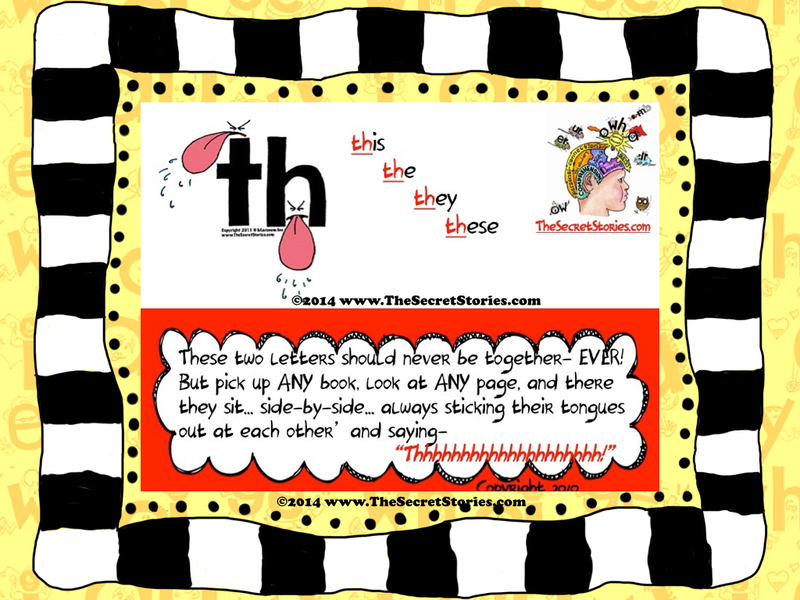 Then we got to “making”…. 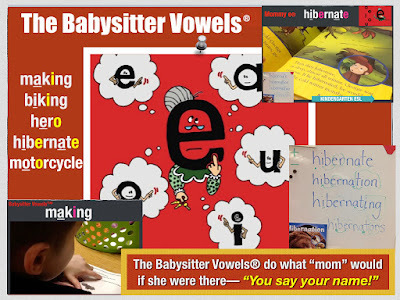 and guess who was able to use the Babysitter Vowels® Secret to figure out whether /a/ would be long or short?! 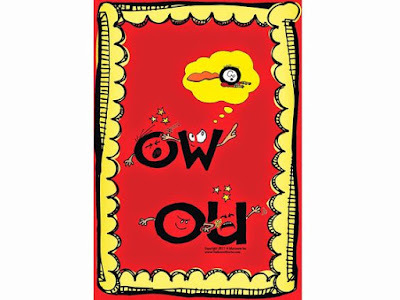 Rough-housing /ou/ and /ow/ saying “Owwwww!” No worries. Knowing the Secret, he switched sounds for /oo/ like a pro! Literally not a moment that goes by that the kids aren’t spotting Secrets. We look for Secrets in our poems…..
We use yellow and blue for “popcorn” words. We “butter” the new ones and put blue dots under the ones that we already know. Then we use a green highlighter to find Secrets. We look for Secrets in Science…. Look at the picture above to see how many variations of the word hibernate we found when reading our big book in our whole group Science lesson! 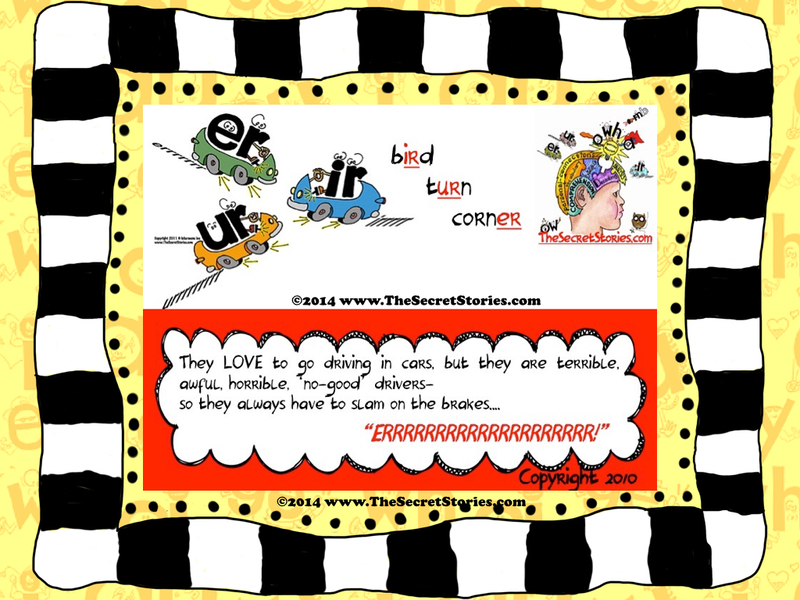 One of the kids spotted the er Secret, then another spotted the /or/ and /ing/ Secrets, and we were off! 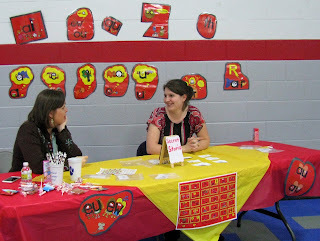 Next came the Babysitter Vowels®, which they used to help them figure out whether the vowels would be long or short. Some students knew the Secret sounds immediately, and others had to check the posters first before sounding out each part, but they were all able to read all of the words— and write them! No one was left out of the reading and writing fun because we all had one thing in common— we all knew the Secrets! 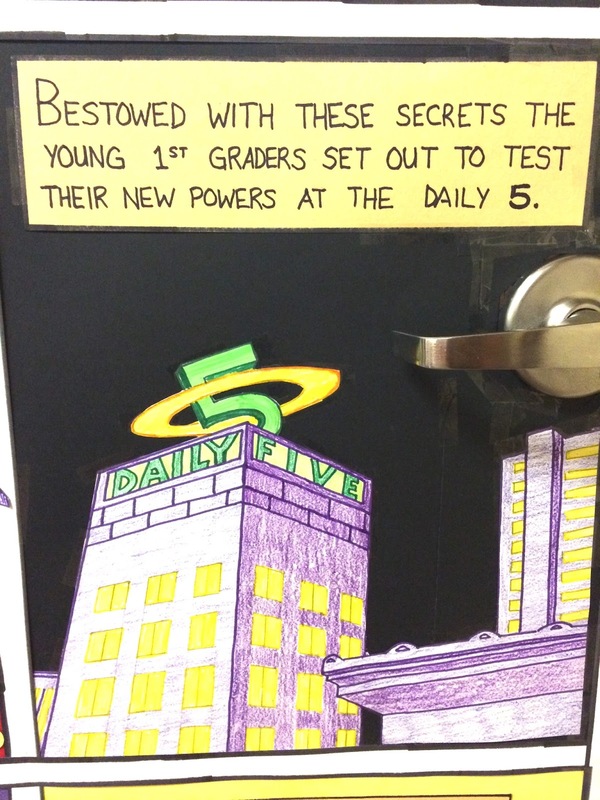 That day, we did more reading and writing in Science than in our designated reading and writing blocks, combined! What better way is there to show beginning learners what these Secret skills are actually for! And sure enough, he had. 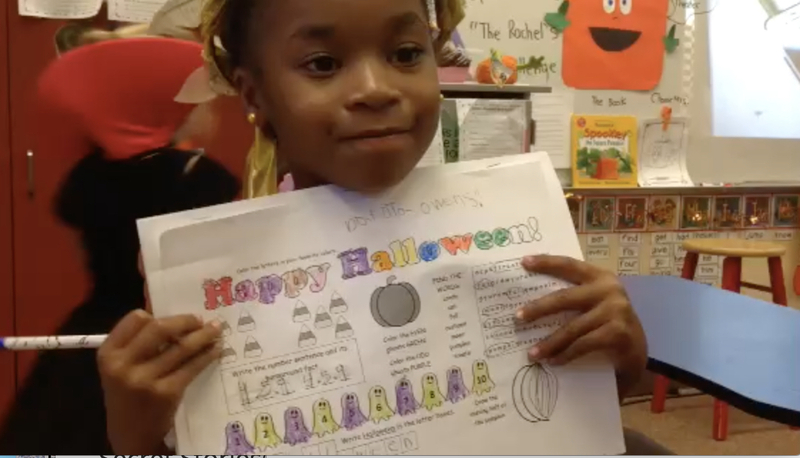 Even for an ELL Kindergartner in October, sounding out the word hibernate with the Mommy E® was easy! 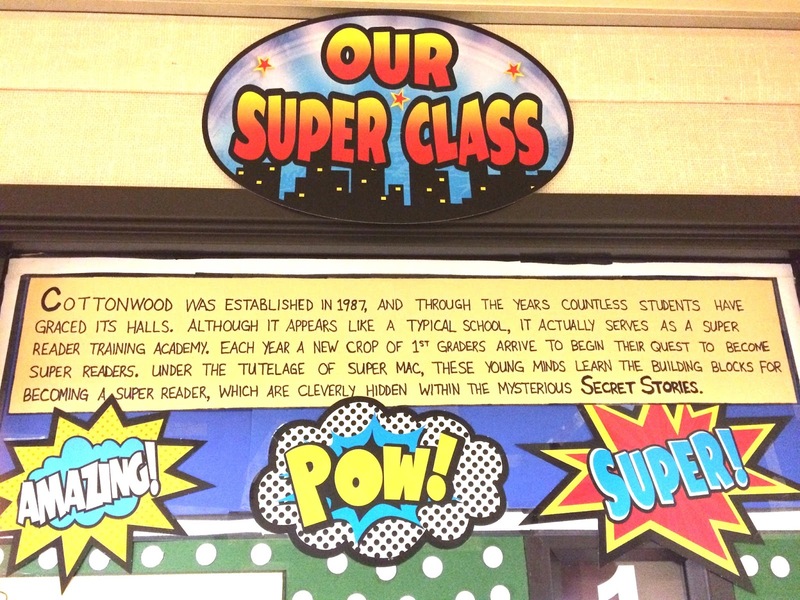 We use Secrets when we write…..
See the /ow/ and /ing/ in snowing and the /ou/ in mountains! 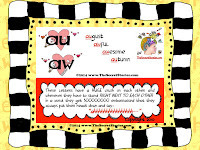 Words like draw and count with the “letters who love each other” (au/aw) and the “letters who don’t” (ou/ow) can’t fool us! 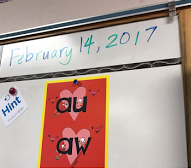 The “anniversary” of au & aw Valentine’s Day! Secret Stories® has opened up so many possibilities…..there seems to be no limit to what my kindergartners can do. It has really changed everything. And while I do still have kids that are just chugging along at their own pace, like sweet little Abel, they are ALL sucking up the Secrets— even those who are not always ready to apply them. And that’s okay, because I know they have the “keys” in their pocket that they will need to unlock the words they want when they are ready, just like Abel did. 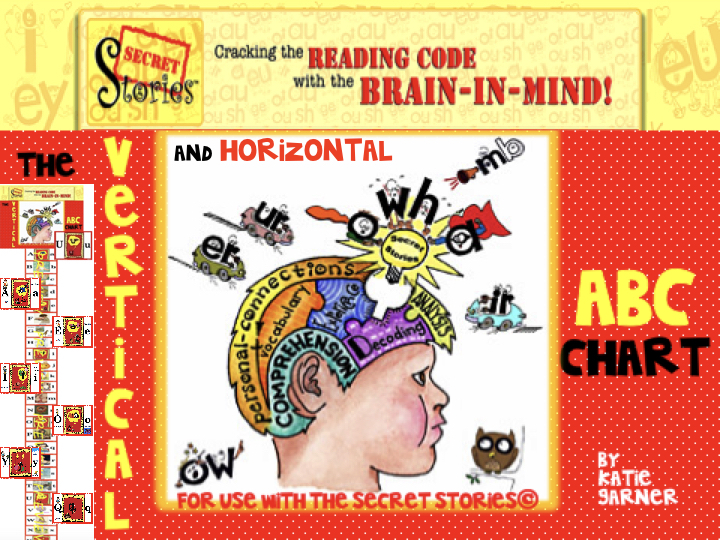 And if you haven’t tried the Secrets but would like to try sharing then with YOUR kiddos, you can download this mini-poster “appetizer” anchor pack FREE!